I feel like it would be really useful to have a brush or an option to put a dither pattern on any brush or fill pattern, instead of having to make a brush pattern for each dither pattern that you might use. I suggest this because this is inspired by the old school oekaki days of PaintBBS which had a dedicated dither tool called halftones, where the “opacity” of the tool set the dither pattern you used. imagine having to put EACH ONE of those patterns into the brush settings just to do the same thing! you could also pick any brush size with them. To overlay the dither pattern on any brush or fill you use would be so useful and make using dither patterns on larger pictures so much faster and easier. i can’t show a video of how it works, sadly, because PaintBBS is an ANCIENT java applet and modern computers can’t run it without enabling literally every dangerous java option to run untrusted applets. Here’s a gif demonstration of a dither brush in Photoshop to help convey what OP wants. 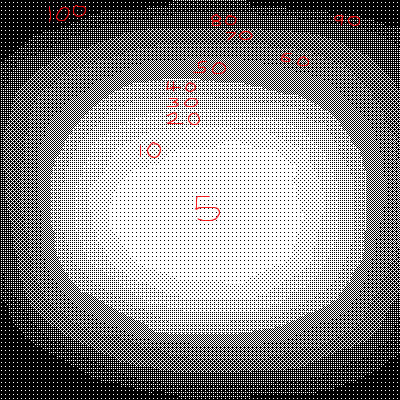 In this gif there’s pressure sensitivity that allows a single stroke to go through multiple kinds of dithering, which is very useful, but even just being able to select the density with a slider would be nice. What kind of witchcraft is this? O_o I didn’t even know that you could have dither brushes with pressure sensitivity in Photoshop, that’s great! Thanks for the info @eishiya! I’ll definitely have a look at those brushes, is there any link you recommend? And yeah, this would be an amazing feature for Aseprite!! is there any link you recommend? The exact method described only works in newer versions of Photoshop, but one of the replies is a tweet from me that replicates the effect in older versions.